Hyderabad’s famous Paradise Biryani came to Chennai more than two years ago and their biryani is one of the best we’ve had in the city. Here’s why. Started more than 50 years ago, Paradise Biryani brings to Chennai a type of biryani that’s hard to find otherwise. 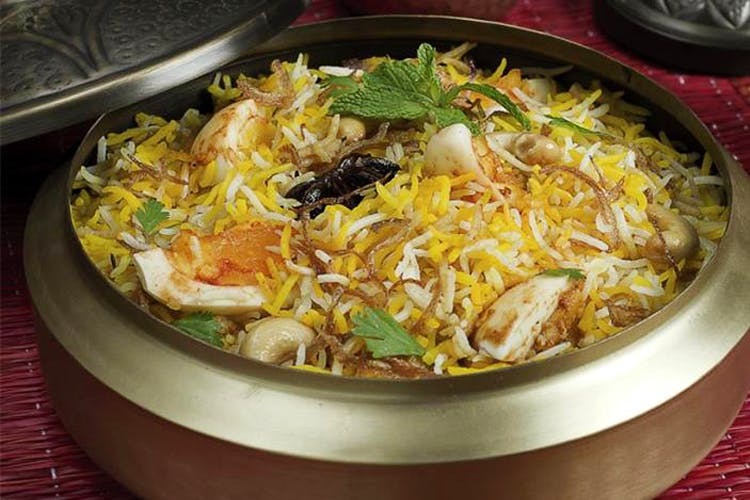 The process of making Hyderabadi style “dum biryani” helps the rice absorb all of that flavour and tenderises the meat. Each of the biryanis at Paradise is served that way with premium basmati rice, a healthy serving of raitha and their signature Paradise Biryani mirchi-ka-salan, a type of spicy red chili masala mix that you can add to your Biryani for that extra spicy kick. If you love spicy food then Paradise Biryani is for you. They do just two kinds of non-vegetarian biryani, a chicken and a mutton biryani and nothing else. Both of which use the tender portions of meat, which help make it easy to eat and super tasty. What’s more, we love that they’re not stingy about their meat as there’s plenty of pieces in each plate of biryani. For INR 400 you can eat a king’s meal here and probably have some left over for takeaway. Vegetarians maybe give this restaurant a miss as we’re sure at this price point you’ll find far yummier options in Chennai (like the ones on this list). For anyone with a sweet tooth, do remember to try out their falooda, (INR 90) and traditional Hyderabadi sweet Double Ka Meetha (INR 94), a type of bread pudding that tastes just yum. All in all, if you love biryani do check out Paradise Biryani, if you haven’t already! Psst, there’s currently free delivery for all Paradise outlets on Swiggy!